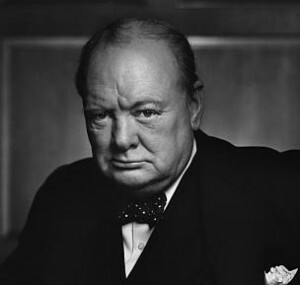 Winston Churchill was a journalist, essayist, author and novelist; a historian, biographer and renowned speaker. But now, the man praised by John F Kennedy for having “mobilised the English language and sent it into battle” has been revealed to be that most sensitive of all plants: a young poet. Around 115 years after it was written, the only known poem written by an adult Churchill has been discovered by Roy Davids, a retired manuscript dealer from Great Haseley in Oxfordshire. Our Modern Watchwords, which was apparently inspired by Tennyson and Kipling, will go on sale at Bonham’s auction house in London in the spring. Written in 1899 or 1900, when Churchill was a cornet – equivalent to today’s second lieutenant – in the 4th Hussars, the 10-verse poem is a tribute to the Empire. The author peppers the poem with the names of remote outposts defending Britain’s interests around the world – many of which he would have visited as a young officer and even fought at – including Weihaiwei in China, Karochaw in Japan and Sokoto, in north-west Nigeria. The paean to Britain’s might, however, does not scale the heights of the literary efforts that marked Churchill’s later life – including his Nobel Prize-winning History of the English Speaking Peoples. Davids, who says the poem “is by far the most exciting Churchill discovery I have seen”, admits it is merely “passable”. Andrew Motion, the former Poet Laureate, goes further, calling it “heavy-footed”. Despite its lack of literary virtues, however, the poem – written in blue crayon on two sheets of 4th Hussars-headed notepaper – is expected to raise between £12,000 to £15,000 when it goes on sale on 10 April. Its price reflects its rarity: the only other poem known to be penned by Churchill is the 12-verse The Influenza, which won a House Prize in a competition at Harrow school in 1890 when he was 15.